Hafez, detail of an illumination in a Persian manuscript of the Divan of Hafez, 18th century. Khwajeh Shams al-Din Muhammad Hafez-e Shirazi (also spelled Hafiz) (خواجه شمس‌الدین محمد حافظ شیرازی in Persian) was a Persian mystic and poet who is now revered as one of the most influential Persian poets of all time. He was born sometime between the years 1310-1337, in the city of Shiraz in present-day Iran. Hafez today is primarily remembered for his lyrical poetry written in ghazals, a difficult and uniquely Persian verse-form. Prior to Hafez, ghazals were primarily used to write songs celebrating wine and earthly pleasure. Hafez revolutionized the form by utilizing the stock symbols of wine and pleasure as metaphors for spiritual experience. In so doing, Hafez elevated his short, simple verses to the level of high art. A devoted Sufi, Hafez's poetry advocated abandoning all restraints and preconceptions so as to come into direct contact with the spiritual realm. As a result of his mystical and profoundly transcendent subject-matter, Hafez has become an inspiration for poets of all cultures. Arguably the most influential Persian poet of all time, Hafez has been translated into countless languages, and his works were particularly influential to a number of the early European Romantics, including Goethe and Friedrich Schiller. In Iran, even though his works are nearly 700 years old, Hafez continues to be immensely popular. His father, Baha-ud-Din, is said to have been a coal merchant who died when Hafez was a child, leaving him and his mother in debt. It seems probable that he met with Attar of Shiraz, a scholar, and became his disciple. He is said to have later become a poet in the court of Abu Ishak, and so gained fame and influence in his hometown. It is possible that Hafez gained a position as a teacher in a Qur'anic school at this time. In his early thirties, Mubariz Muzaffar captured Shiraz and seems to have ousted Hafez from his position. Hafez apparently regained his position for a brief span of time after the Shah Shuja attempted to regain the throne. But shortly afterwards, Hafez was forced into self-imposed exile when rivals and religious characters he had criticized began slandering him. Another possible cause of his disgrace may have been a love affair he had with a beautiful Turkish woman, Shakh-e Nabat, about whom Hafez wrote a number of romantic poems. Hafez fled from Shiraz to Isfahan and Yazd for his own safety. At the age of fifty-two, Hafez once again regained his position at court, and possibly received a personal invitation from Shah Shuja, who pleaded with him to return. He obtained a more solid position after Shah Shuja's death, when Tamerlane ascended to the throne. It is generally believed that Hafez died at the age of 69. His tomb is located in the Musalla Gardens of Shiraz, Iran, and remains a popular tourist destination, with millions of Persians and other visitors making the pilgrimage to Hafez's tomb each year. There is no definitive version of his collected works (or diwan); editions vary from 573 to 994 poems. Only since the 1940s has a sustained scholarly attempt been made—by Mas'ud Farzad, Qasim Ghani and others in Iran—to authenticate Hafez's work and remove errors introduced by later copyists and censors. However, the reliability of such work has been questioned, and in the words of Hafez scholar, Iraj Bashiri, "there remains little hope [in Iran] for an authenticated diwan." Although denounced by orthodox and fundamentalist Muslims in his own time as a hedonist who indulged in the pleasures of earthly world, Hafez greatly influenced subsequent Persian poets. In time, many critics would point out that what appears to be reckless hedonism in Hafez's works is in fact an allegory for the unspeakable ecstasy of spiritual experience. In translation, Hafez has left his mark on a number of important Western writers of the nineteenth century, such as Goethe. His work was first translated into English in 1771, by William Jones. Few English translations of Hafez have been truly successful. His poetry is notoriously ambiguous. Interpreting him requires care and scholarship; the search for his words' literal and symbolic meanings, all of which is notoriously difficult for Western scholars studying a now ancient form of the Persian language. Additionally, Hafez often refers to contemporary events and figures without providing any background; his poetry assumes implicitly that the reader has a thorough understanding of Persian literature and history. Much Hafez scholarship continues to focus on explicating all the allusions in his works. Drink not the wine to the strains of the harp, for the constable is alert. For the time, like the eye of the decanter, pours forth blood. For it is the season of piety, and the time for abstinence. You said your sorrows will end. Only if it will ascend. On its guidance can depend. With beloved's air may blend. Your life, and your time spend. Until it's time for that trend. Sorrows too will end my friend. a man, a woman, an angel, or even a pure soul. Love has befriended Hafiz so completely. Of every concept and image my mind has ever known. The works of Hafez are inspired by the Sufi teachings of his time, in which passionate love and the drinking of wine are metaphors for ecstatic religious states that cannot be otherwise described. 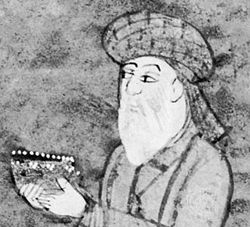 Although Hafez's poetry was often misunderstood by conservative Imams in his own lifetime, in the centuries following his death, his poetry became celebrated by Muslims, Hindus, and Christians alike for its profound insights into the search for spiritual meaning. Rypka, Jan. History of Iranian Literature. Reidel Publishing Company. Hafiz, Shams al-Din Muhammad A Biography by Prof. Iraj Bashiri, University of Minnesota. Hafez Poems—Translated by Shahriar Shahriari. 500 original Hafez Shirazi Ghazaliyat in Persian.